Getting four new tires for your car may take a bit of bite out of your wallet, but it would be a worthy investment. However, if you do not want your car to rock and rumble on the road on its new tires, you really should partake in a bit of wheel balancing. Every time new tires are attached to wheels, it is a good idea to perform wheel smoothing. Not only will this help to smooth out your ride, but it will also give your car better steering control, provide superior traction on the road, and increase the life expectancy of your tires dramatically. Here is the sad truth – no matter how delicately the wheels and tires of your car are balanced, they will eventually become unbalanced over time. As your car spends more and more time on the road, your tire treads gradually erode, and the weight distribution of the entire car shifts along with it. This can easily upset the delicate balance of the wheel assembly and the tires, with even a quarter-ounce worth of imbalance causing a definite vibration that can resonate throughout your car. Believe me, you do not want to experience that when you are driving down the Interstate. In fact, this vibration is even more noticeable at higher speeds, as well as the weight and dimensions of your wheels and tires. The weight, size, suspension sensitivity and steering sensitivity also play a role behind the intensity of the vibration. In order to balance your car on its new tires (or even wheels), you need a state-of-the-art wheel balancer (also known as a spin balancer) which is properly calibrated. It must be capable of achieving both dynamic (moving) and static (stopped) states of balance. Bubble-style wheel balancers are good for achieving states of static balance. However, for a complete wheel balancing, you need a spin balancer, which supports dynamic balance as well. Having both types of balance is essential with modern vehicles, which have considerably heavier and larger wheel assemblies. If your vehicles features run-flat tires with thick sidewalls, it is even more essential. 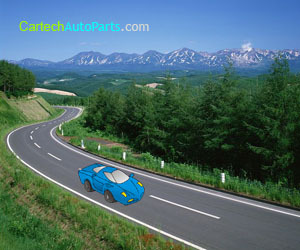 Thanks to the electronic innovations of today, wheel balancing has become much easier and considerably more accurate. You can easily see balancing information on the graphical displays, minimizing chances of error greatly. You can even save time by having the wheel balancer automatically measure and record the diameter and breadth of the wheels. Modern wheel balancers are designed to operate more slowly than the ones of the past. They are more sensitive to signals, and do not need to spin wheels at speeds higher than 15 mph in order to obtain readings. Slower speeds are very much beneficial, since they allow the balancer's motor to last longer, lower cycle times, and also minimize the risk the operator may be subjected to. In order to perform wheel balancing, all the wheels of the car should be checked, and rebalanced with regard to the requirements. However, it should also be noted that destructive vibrations can also be caused by damaged or worn-out tire treads, as well as a problematic rear wheel drive driveshaft. The balance of a wheel can be affected by many factors, including eroded shaft bearings or mounting cones, accumulation of dirt within the wheels, inconsistencies in the integrity of the center slots in the wheels, as well as mounting a wheel wrong. In order to gain a perfect picture of balancing, the wheel should be mounted on the balancer exactly as it is in case of the vehicle. Wheel balancing is extremely important to have your car running smoothly, and should be performed over regular intervals.